So this past month I've been playing an awesome game, Namco x Capcom. And in my gaming high I got the idea to share my thoughts on the game. But first some basics: Namco x Capcom is an "action RPG/tactical RPG hybrid" for the Playstation 2 made in 2005 by Monolith Soft. As the name suggests it features characters from both companies battling in various settings. The game was only released in Japan but there is a translation patch made by Transgen. I got the obsolete version of the patch by mistake and I've been subject to many grammar mistakes. Don't know how correct the latest version is. First let me just say that this game is pure fanservice, maybe even at the expense of the story. Is there even a crossover game with good story? I could even say that with this game the story doesn't even matter. All that matters is that you get to battle with your favourite characters accompanied by amazing music. I'm easily entertained. The battles are very easy, or have been atleast to where I am now (chapter 16). I've only had one character die in battle. Now that we've got the critique done with, let's get to the praising. From the first minute you pop in the game you are awed by the glorious opening animation done by studio IG. Who knows how many times I've watched it. This acts as a teaser to the characters as you are presented with a fairly big cast from the beginning, but there are still surprises to come. You'll be waiting for your favourite character to appear and don't know when that happens. Small hints whether it's the stage you're on or the enemies you are fighting act as a preview of things to come. Can't wait for the next fight to see "him". Speaking of characters there have been many times when I've been presented with one that I don't recognize. Then it's time to browse through the wikis and say "Oh, he's from THAT game". Playing as new people really get's me fired up to try their respective games. I have to admit when King came up at first I thought that he was from Darkstalkers, not that I wouldn't recognize King but I had no idea of such game titles as Tekken making an appearance. Hopefully this game proves to be as entertaining as it have been to this point and I get to meet many interesting new characters. 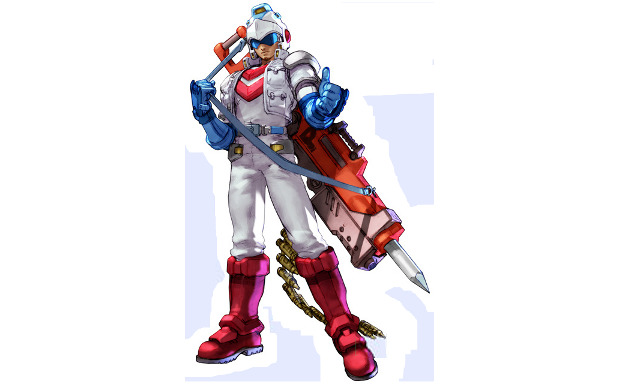 If there's one thing I'm waiting for it's Mr. Driller.